Connecting these devices to the BishopNet Wireless Network. Select Settings in the top Notification bar then Wifi. Make sure Wifi is turned on and select BishopNet as the network. Under EAP method, select PEAP. Under the Phase 2 authentication, select MSCHAPv2. Under Identity, type in your OWU username (do not include @owu.edu). Under Password, type in your OWU password (the same as for BishopMail). You may be asked to accept a certificate. If so, tap accept. Open the web browser and go to wifi.owu.edu to register. Select Settings, then Wireless, then Wifi. 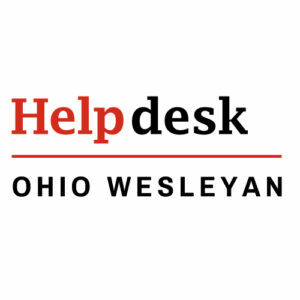 Under Login, type in your OWU username (do not include @owu.edu).